High in the sky, in the Realm of the Sun, rests the Mask of Eternity in its Holy Sanctuary, guarded by its Archons who serve and protect it. The Mask is a powerful object, representing truth, light and order. However, power corrupts and, as the Mask itself had prophesied, it would be one of its own protectors that would betray it. Lucreto, the leader of the archons and a powerful wizard, tries to use the Mask for his own dark purposes. Using his magic on it, the Mask shatters in five fragments and falls in the lands below. The archons are turned to stone and a foul tempest turns all humans below to stone. The sky turns dark, trees lose their leafs and rivers stop flowing. Dark creatures begin to roam the cursed lands. You are Connor of Daventry, the only person immune to the curse as one of the Mask's pieces fell near your feet, choosing you to find all its pieces and return them back to their Holy Sanctuary. Connor, a tanner with a noble heart and strong will to bring back order and lift the curse, will have to travel through several lands and defeat many enemies before reaching his final destination. Each land has its own problems, caused by the apocalypse. The sacred heart of the Dimension of Death needs healing, the swamp is poisoned by a witch, the underground Realm of the Gnomes experienced a huge trembler and has no exit, the Barren Region is terrorized by a Basilisk and the King of the Gryphs in the Frozen Reaches has been captured by the vicious Ice Orcs, among many other issues. At the same time Lucreto is searching for the Mask pieces himself, sending out his dark minions in search to destroy you, the Chosen One, the Champion Eternal. 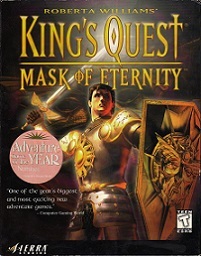 With King's Quest: Mask of Eternity, also referred to as King's Quest 8, Sierra took a huge leap from the previous games in the series. The market was changing, adventure games were gradually losing their appeal and 3-D action games and shooters were gaining immense popularity on the market. 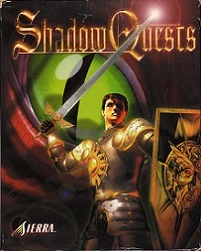 Not only did they design the game in 3-D, they also added combat to the game and created a new protagonist who was not a member of the royal family of King Graham, who only has a small cameo in the game. 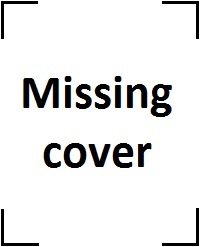 Although the game maintains many puzzles, it is widely considered as a 3-D action game. These were decisions made in the early planning stage of the game, when lead designer Roberta Williams was finalizing Phantasmagoria. Given the large size of the worlds, co-designer Mark Seibert later came up with the idea to add combat elements to fill the spaces between the puzzles and add more action to the game. The development of the game ran into a whole range of problems, ranging from engine problems, to multiple complete redesigns, changes in the development team and more. Deadlines were pushed back and the budget was exceeded by far. 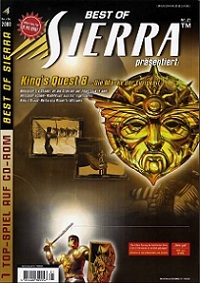 Eventually the game was released in November 1998 after 3 years of development and, although the reception of the game was mixed, it would so far be the last game of an epic series that began in 1984 and defined Sierra On-Line.